As I mentioned in last week’s TWIB—that’s This Week in Bioethics—India has passed a new law on surrogacy. 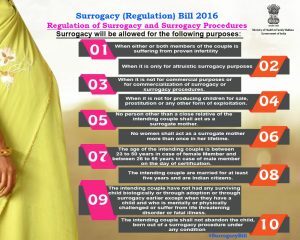 The law seeks to closely regulate the practice of surrogacy by establishing ten parameters that greatly reduce the allowable instances of the practice. Our good friend Kathy Sloan, a feminist leader, an activist, an author, and an original signer of the #StopSurrogacyNow Statement, has written a detailed analysis of the positive aspects of the law as well as some of the issues that the law leaves (so far) unaddressed. Her piece was posted yesterday on the #StopSurrogacyNow website, and emailed out to their email list. It is well worth your time to click through and read Kathy’s breakdown of the law. And if you haven’t yet signed the #StopSurrogacyNow statement/petition, now is a good time to add your name to this growing, international movement. When you sign the statement you will have the option to join their email list so that you can keep abreast of their work directly. The statement is available in eight languages (Deutsch, English, Español, Français, Italiano, 日本語, Norsk, Svenska), and nearly 150 countries are represented among its signers, demonstrating that this is a truly global issue. Join the movement to #StopSurrogacyNow now!